I just made a html guide for someone who wanted to write some things on her homepage and thought some of it might come in useful or just as a memory jogger here. <br> This is a line break. It doesn't need a closing tag. Put one at the end of every line including any spaces. Use multiples to make bigger spaces, for example: <br><br><br><br> would give a 4 line space. If anyone wants to know any other basic coding stuff just ask below and I'll do my best to add it. adding a background to the product page? so it covers the whole page under the product images. Zara thanks for this topic , while it is a basic thing to do this was one of my favorite parts of IMVU . 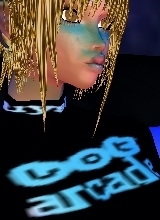 When IMVU started I spent as much time viewing others and designing my own pages as I did in any other area of IMVU . The first thing I'd do when meeting a new user to my scene is goto see their page . Back then it seems everyone used homepages , compared to the current times not nearly as many users design . the new forum mess they never took it to those next levels . and streamlining the current tabs . Instead of removing tabs and I wont even go into the settings mess . Thank you! Homepages are probably IMVU's most under utilised feature, a free webpage for chrissakes and yet most don't realise their value. Such a waste. Thanks for your visit to mine! It's a bit of a shambles atm as due to a blonde moment I wiped it unnecessarily to clear an issue. 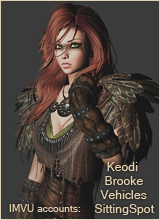 Yeah I forgot to mention mine is also in the re-working status as since many years back imvu got rid of the messages tab . .
the same answers over and over in chat .